Regular meetings are held at 1:00 p.m. on the first Wednesday of each month. 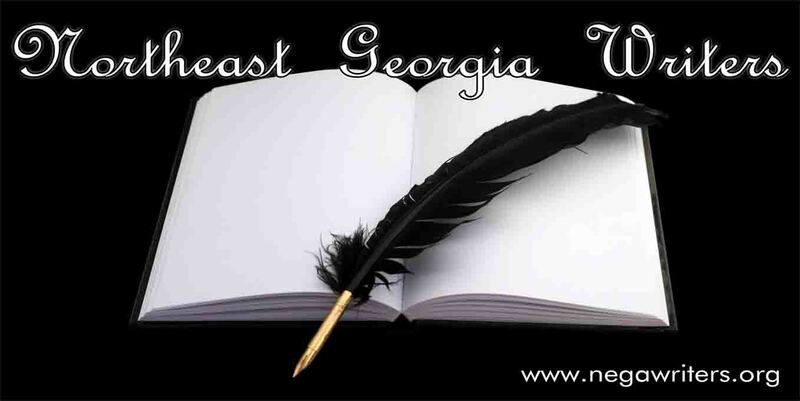 We welcome visitors and writers at all levels of experience and in all genres. Enjoy a free, informative program followed by social time with refreshments. We meet in the conference room on the second floor of the Sun Trust Bank, main branch in downtown Gainesville. The address is: 121 E. Butler Parkway, Gainesville, GA. 30504. Sun Trust is only one block off the square. Members are requested to park on either side or in back of the bank. We may use the handicap parking as needed. The annual Awards Luncheon (May), Summer Picnic (June), and Christmas Party (December) may be held elsewhere.